When it comes to gold and diamond buying, The Gold ATM is the leader in the Atlanta region and all neighboring communities. With over 250 five-star reviews on Google (and counting), we are the highest reviewed gold and diamond buyer in the area. Ever since 2007 when we opened our doors, we have provided high-quality services to all of our customers from Atlanta. Today, our business is booming, and we couldn’t be happier. One of our most visited offices is located in the Piedmont Center, near the Buckhead Station. We are proud to serve our Buckhead customer base and provide top-notch services at all times. At The Gold ATM, we offer free jewelry evaluations to all our customers; and not only that but in order for you to feel relaxed and comfortable, all of our evaluations are conducted in private. You will be able to see the finer details of your diamond jewelry under our digital microscope. Now, that’s not something that you could do at your run-of-the-mill jewelry store or at most of our competitors’ offices. We will show you the details of your pieces on a big TV screen. Moreover, our expert personnel will lead you through the process and teach you about your jewelry. As the most trusted gold and diamond buyer in the area, we provide a number of services. Some of them include buying diamonds, luxury watches, diamond rings, diamond bracelets, and all kinds of diamond jewelry, as well as gold and gold jewelry. In addition, we offer low-interest loans on all fine jewelry. If you have a piece that you aren’t ready to sell, but you need some money quickly, pay us a visit at our office at Piedmont. Our rates are the best in the city, starting as low as 5%. We guarantee that you won’t get a better offer anywhere in Atlanta. At The Gold ATM, we never pressure our customers to sell; our environment is entirely pressure-free. If you aren’t absolutely sure that you want to part with your piece, there is no need to rush. Also, you can always feel safe when you pay us a visit; we operate from safe and secure locations. So, if you are in search of high-quality services, free and private evaluations, fair and honest offers, and best rates, feel free to visit us at our Buckhead office, located at 3525 Piedmont Rd NE Bldg 7, Suite 300, in Atlanta. 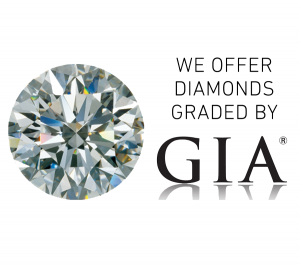 We are, without a doubt, the most reliable diamond and gold buyer in the area with the biggest customer base.